Don’t give up! This phrase has become the mantra of motivational speakers, spoken regularly to millions the world over. Many at their wits end have found life in it. If there is anyone who has become a living example of this message, it is none other than the retired General, Muhammad Buhari. Buhari won the ticket to run as presidential aspirant for the All Nigeria People’s Party. He lost to his ex-military colleague, General Olusegun Obasanjo, polling 32% of the votes. Buhari was presidential aspirant on the platform of ANPP, but polling 19% of the votes, he lost to PDP’s Umar Musa Yar’Adua. Buhari contested the same number one position as flag bearer for CPC. He lost to PDP’s Goodluck Ebele Jonathan, the incumbent Nigerian president. 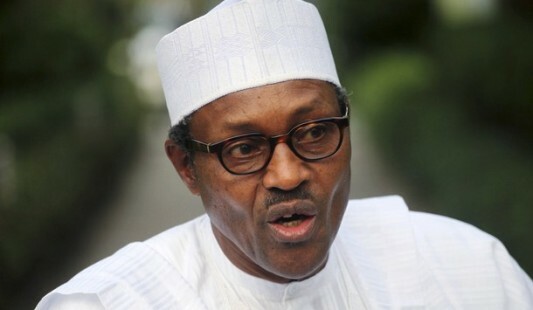 Again, Buhari is listed as one of the the key aspirants ‎contesting for the All Progressives Congress (APC) presidential ticket. Buhari started contesting for the presidency when he was 61 years old. At 72 years of age, 11 years and 3 tries later, he is still running – for the same position. The question that lingers in the minds of many Nigerians is: ‘why?’ Why is Buhari running for the same position over and over again? Does this reveal a quest for ultimate power by any means? Did he forget something in the State House? Is he suffering withdrawal symptoms? Recall however that this same man has ‎led the country as Military Head of State (Dec 1983 – Aug 1985). Prior to that had served as Military Governor for the North-East, Federal Commissioner for Petroleum and Chairman NNPC and Chairman PTF. Buhari is not new to Federal power! Been there, done that, with a much talked about record of integrity. From the foregoing, it seems unlikely that the retired General is power-craving. So is he bored? ‎Or does he still feel shortchanged, having been sacked barely two years into his sojourn as Head of State in 1985? Is there something the retired General knows that we do not? Does he hold the magic wand to the peculiar art of governance in Nigeria, ready to wave it on being voted in? On assuming power via a military coup on the last day of December 1983, his speech commenced with what could be considered a mandate: “In pursuance of the primary objective of saving our great nation from total collapse…” He referenced Nigeria’s dwindling economy, national insecurity, legislative largesse, financial indiscipline, economic mismanagement, and a corrupt, inept and insensitive leadership. Is today’s Buhari driven by the same urgent call of duty to ‘intervene’ and save the nation from imminent collapse? An analysis of Nigeria today reveals a country unchanged from 1983. Politics is still a life or death game, legislative largesse goes without saying, financial indiscipline is still rife, corruption has escalated to sophisticated dimensions. Is Buhari joining the race, again, because he thinks he has the capability and experience to fix Nigeria? What did he fix 1983 – 85? The reality of that first stint in the presidency, thirty years ago, is worth exploring. It was tainted by public perception of his initiatives as being extreme and authoritarian. His ‘War Against Indiscipline’ (WAI) program, though noble in its intent, was brutish in experience. Nigerians were forced by whip-brandishing soldiers to queue up at bus stops; tardy civil servants were subjected to ‘frog jump’ punishment, and press freedom restricted. In a bid to grow the economy, import bans were put in place, causing a rise in commodity prices, ultimately resulting in inflation. Subsequently however, his stint as chairman of the Petroleum Trust Fund (PTF) between March 1995 and May 1999 demonstrated a level of prudence, and strength in financial management. The general perception is that Buhari managed the excess oil revenue fund with transparency and efficiency, successfully executing projects nationwide, regardless of the impression that they may have been skewed towards the Northern region. It ultimately remains unclear what exactly underpins General Buhari’s determination to return to power, what fuels his passion for dusting himself off again and again.